CLS Bank argued in their brief that validity and eligibility are different and 35 USC 101 is directed to the latter. Nothing in the statute suggestions that there is a distinction between eligibility and validity. How can a patent be valid and not meet the requirements of 35 USC 101? It can’t. When you turn the question around you see the absurdity of this position. 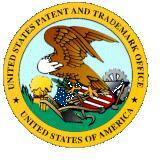 In addition, the reason for a Patent Office is to review inventions to determine if they are eligible for a patent. If the courts are going to ignore the determinations of the Patent Office, then we should just have a registration system. In every other area of law the courts are extremely deferential to administrative agency decisions, but not with patents. Ask yourself why this is. I would suggest the reason is that every other administrative agency increases the power of government, but the Patent Office increases the power of the people. It is patently unfair that an inventor has to defend their patent, two, three or more times and on multiple issues. If the EPA or the FCC or the FTC, etc. had to survive this scrutiny or legislation in general, almost none of the laws or regulations passed in the last decade would stand. It is time to end the double standard that gives a pass for every regulation that increases government power, while forcing private people to jump through hoops. In fact it is time to reverse the process, as the Founders intended. NO RATIONAL person would buy CLS argument that there is a difference between validity and eligibility. But that does not mean the Judges on the CAFC or Supreme Court will not buy into CLS argument. For more on the earlier decision CLICK HERE.